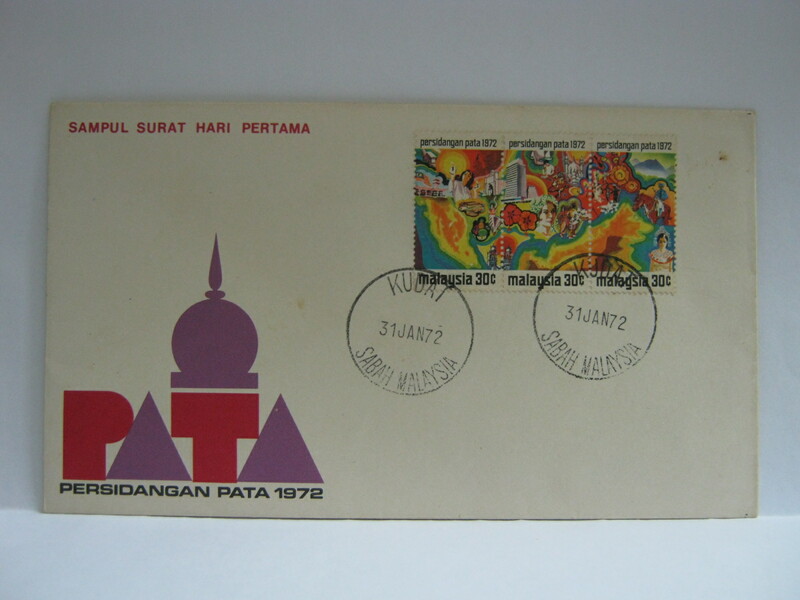 This FDC features the Kuala Lumpur cancellation and the Persidangan PATA cancellation. 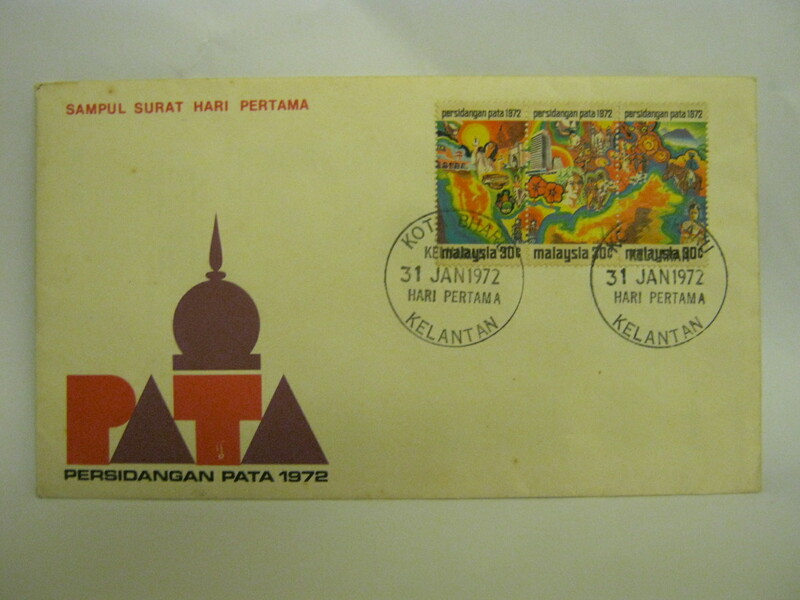 Kuala Lumpur was the host of the PATA Conference held from 31 January 1972 to 04 February 1972. This FDC was cancelled in Pulau Pinang. The Penang Hill Railway can be seen on the first stamp. 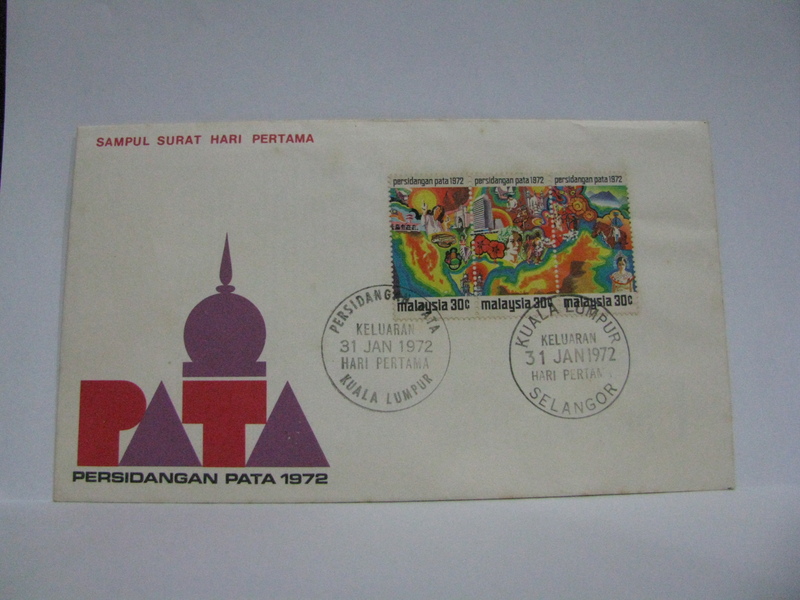 Penang was the host of the annual PATA Workshop from 27 – 28 January 1972. 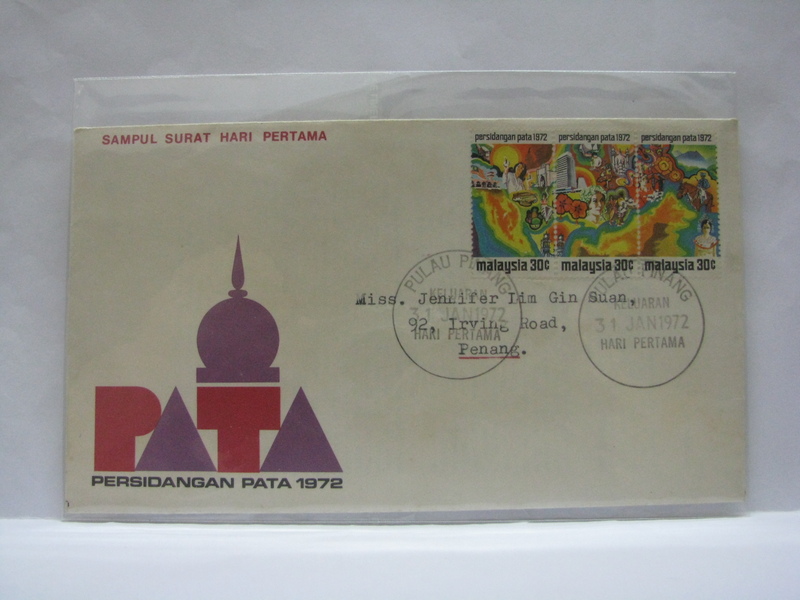 This was followed by the PATA Conference held in Kuala Lumpur from 31 January 1972 to 04 February 1972. 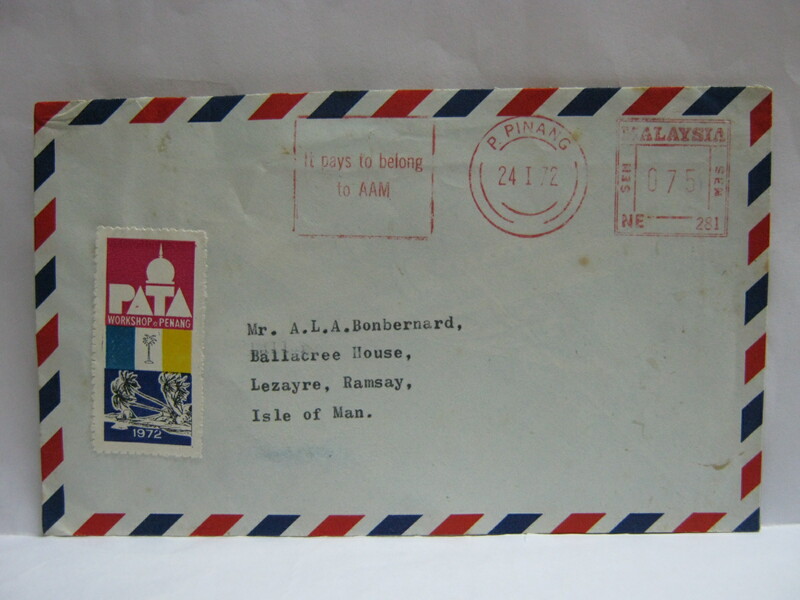 This FDC was cancelled in Ayer Itam, the base of the Penang Hill Railway. 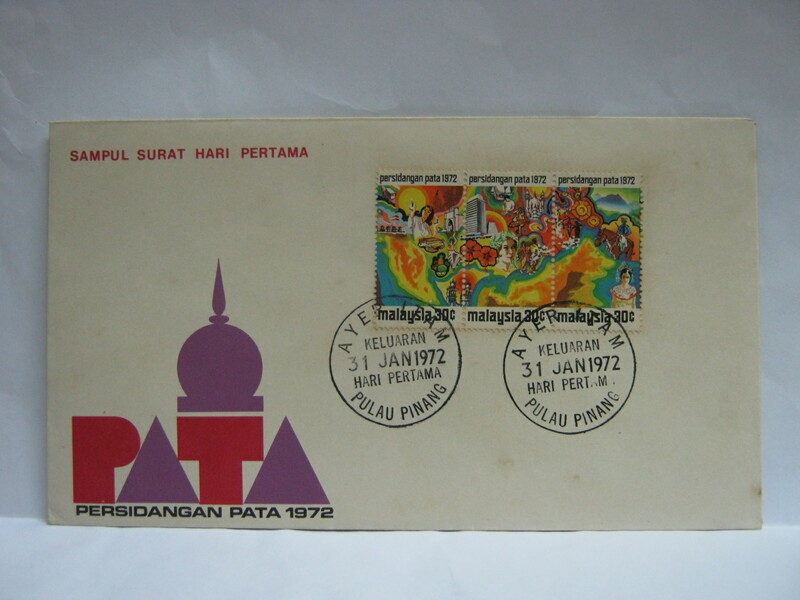 Here is an envelope with the Penang PATA Workshop label cancelled in Penang just before the workshop. Here is a postal slogan promoting both the Penang Workshop and Kuala Lumpur Conference. This FDC was cancelled in Lapangan Terbang KL (Kuala Lumpur Airport). 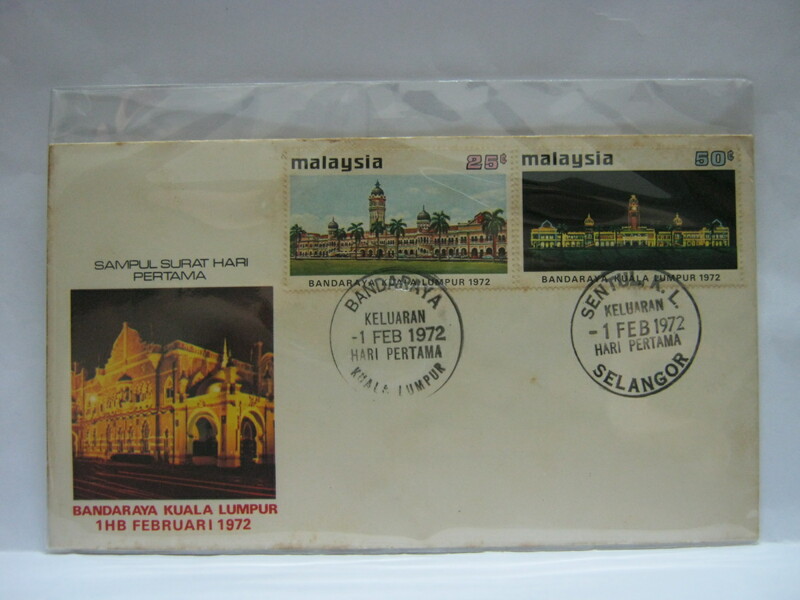 The Kuala Lumpur Airport in Subang is feature on the first stamp on the left. This FDC was cancelled in Kota Bharu. 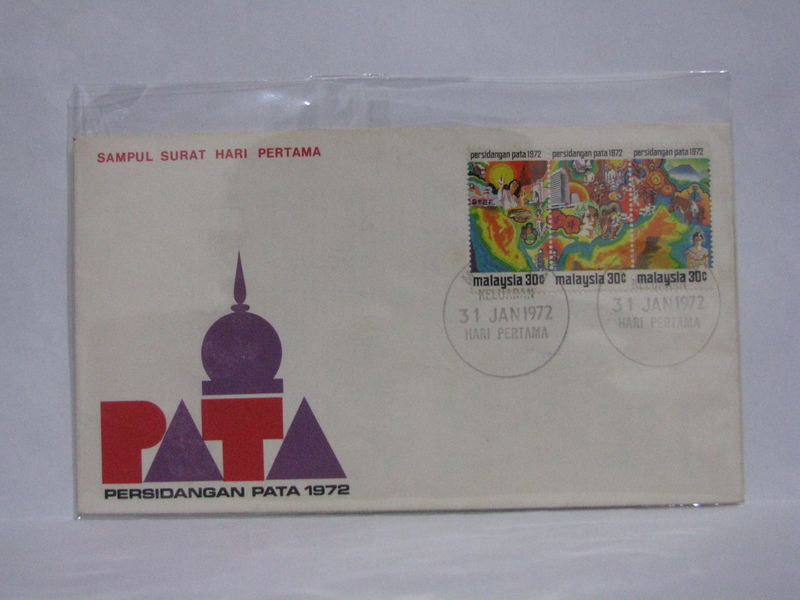 Shadow play and batik printing are feature on the first and second stamps from the left. This FDC was cancelled in Melaka. 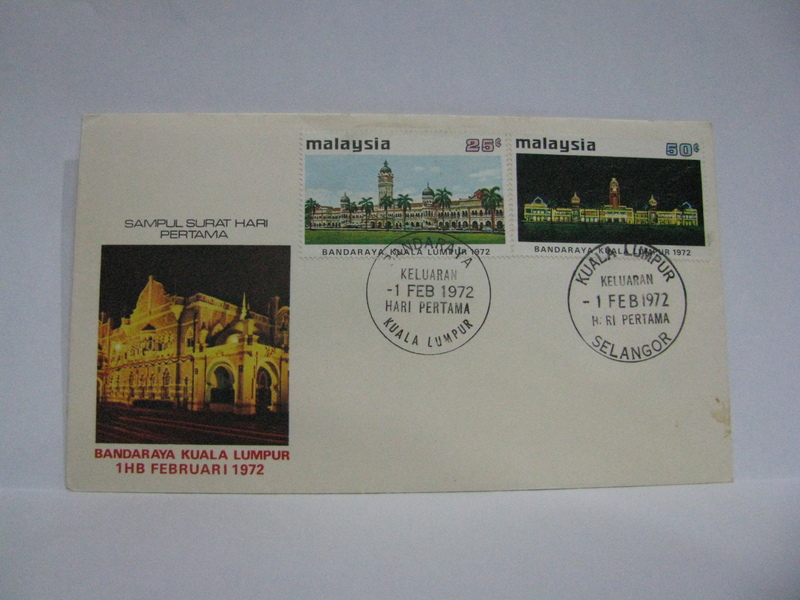 I added this FDC as there is an image of Porta de Santiago (Melaka) on the first stamp on the left. 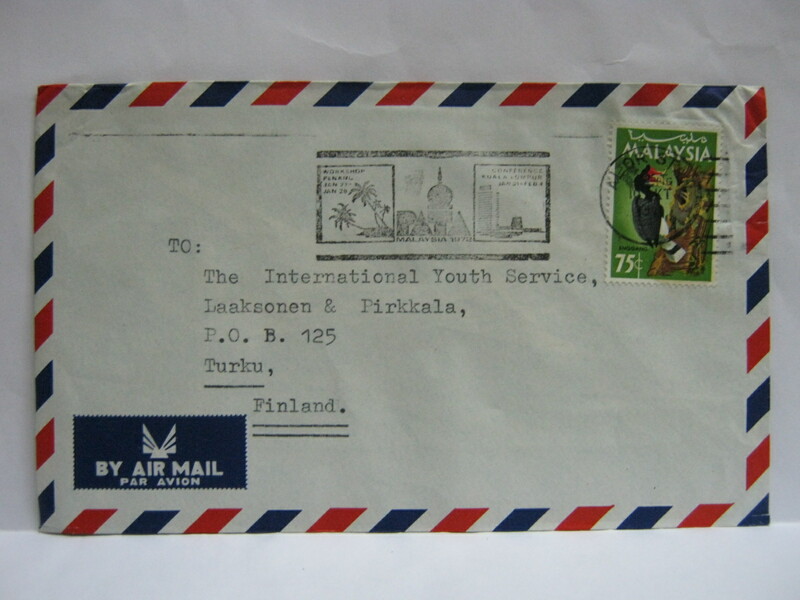 This FDC was cancelled in Kuching represented on the third stamp from the left of the Iban. This FDC was cancelled in Kudat representing the Bajau horseman of Kota Belud. 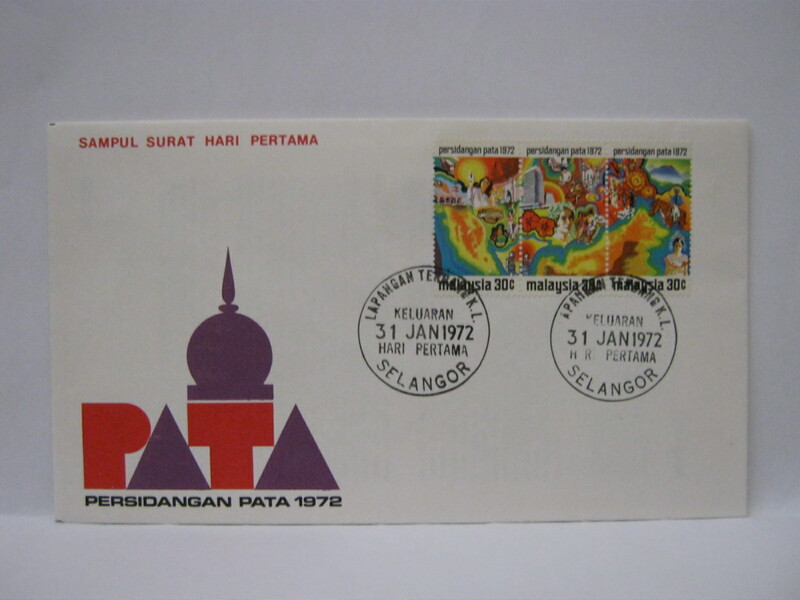 This FDC was cancelled with the Kuala Lumpur cancellation and a special Bandaraya Kuala Lumpur cancellation. Interestingly, this FDC was cancelled with the Jalan Brickfields KL cancellation and also the special Bandaraya Kuala Lumpur cancellation. 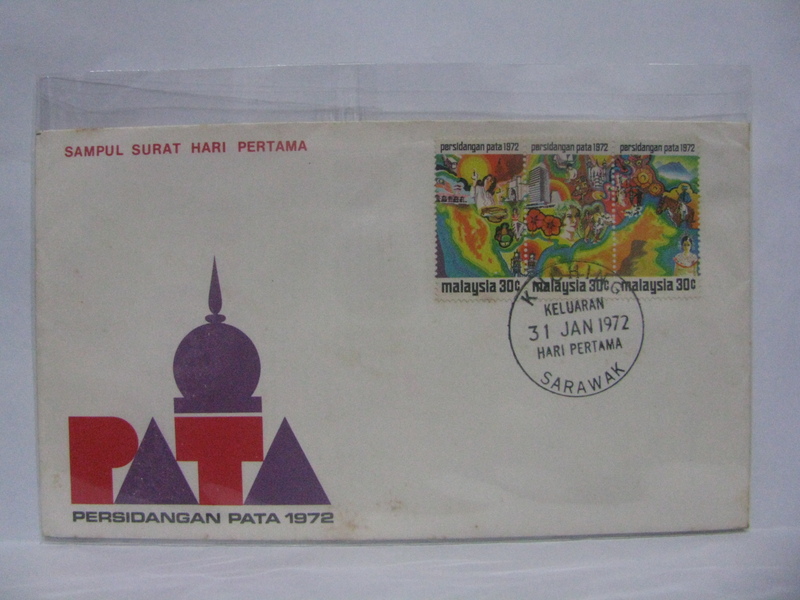 This FDC was cancelled with the Sentul KL cancellation and also the special Bandaraya Kuala Lumpur cancellation.